Hyacinths for the Soul’s “A Look Back for Inspiration” was the most charming mix and match Easter table! Her marvelous MacKenzie-Childs dishes and cute bunny plates had this dish-a-holic swooning! And those redbuds! Oh how I wish we had those in zone 4! “Home is Where the Boat Is” shared a feast of Easter beauty! 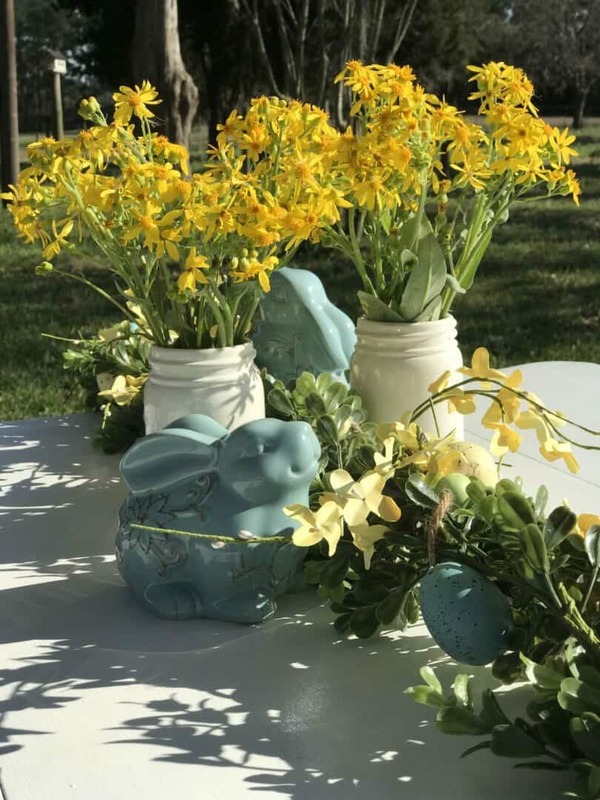 Her “Easter Countdown and Parade of Recipes and Table Inspiration was a-mazing! Everything from recipes to drop-dead gorgeous styling, I think this blog is my new favorite! My eyes got their fill of eye candy here! Definitely check it out! 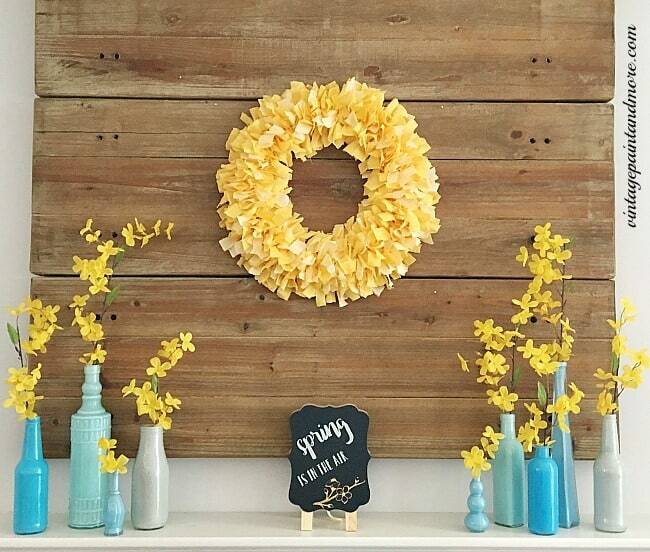 Vintage + Paint and more’s “Spring Mantel Done in Blue and Yellow” put a smile on my face as we were getting 6″ of snow! My cravings for spring just got satisfied! I love the pretty blue colors she painted the bottles, and the whole fresh scene set against that rustic backdrop=perfection! 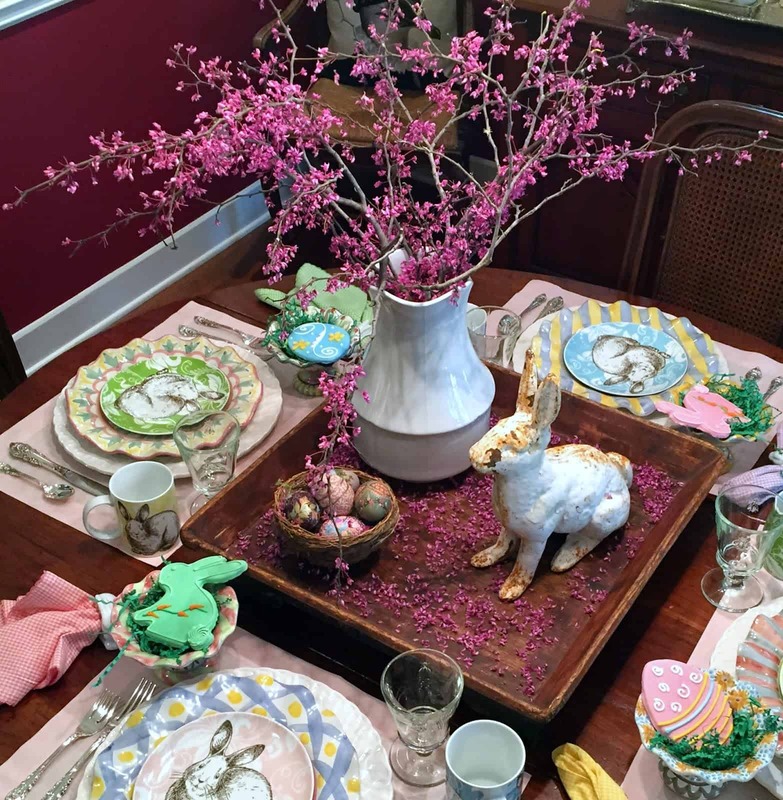 “Purple Chocolat Home’s “Pink and Green Easter Table Two Ways” was a treat to my styling-loving eyes! Everything she touches turns to beauty, I think! 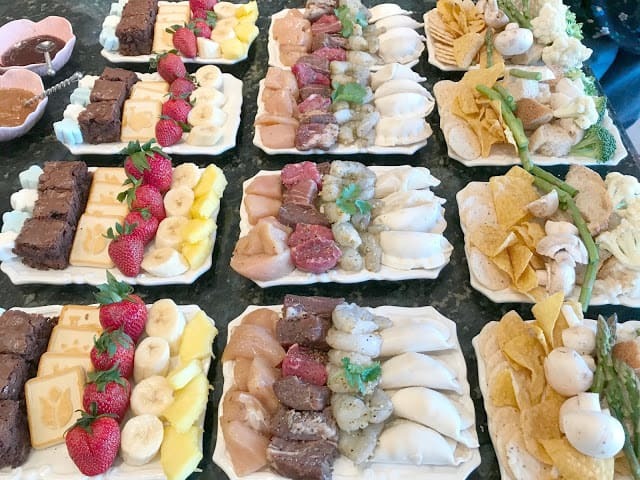 I was so distracted by the luscious baked goods in her sidebar, and then I got to this fondue meal, styled perfectly! Food elevated to art status, definitely! Don’t look at this blog on an empty stomach…just sayin’! Simple Joy’s “Paper Wisteria” had me amazed at how something so mundane could become so beautiful with a little creativity and effort. 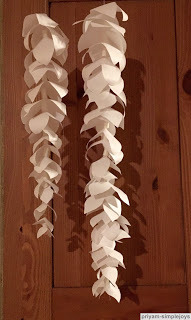 This paper decor would be lovely for a special party, or even as home decor! 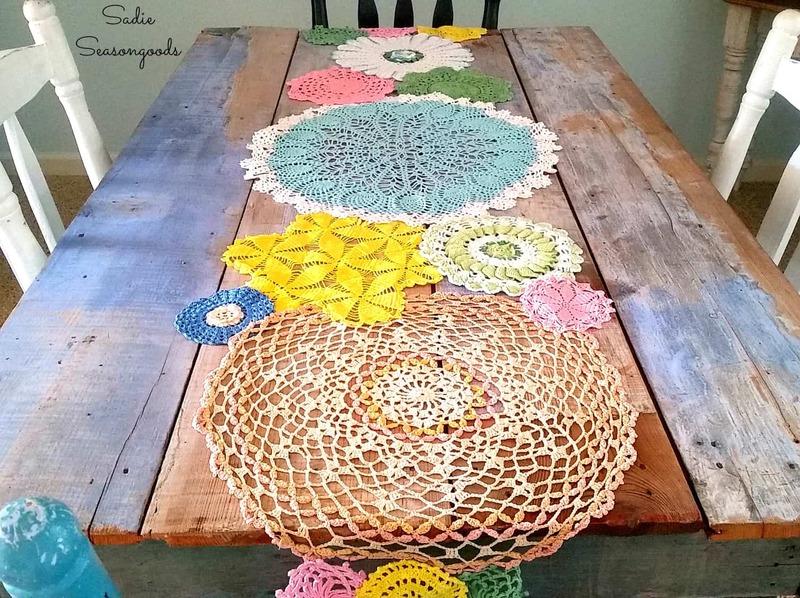 Sadie Seasongoods’ “Spring Doily Table Runner” makes my vintage-loving soul happy! Using a basic piece of everyday vintage in a totally new way is my identity! And with all these happy, spring colors and texture galore; this needs to happen in my life! And I’ve got plenty of vintage doily’s and hot pads (a.k.a. secret hoarder). “Postcards from the Ridge” created this “Natural, Rustic Spring Tablescape” with colors and textures that just made me sigh. 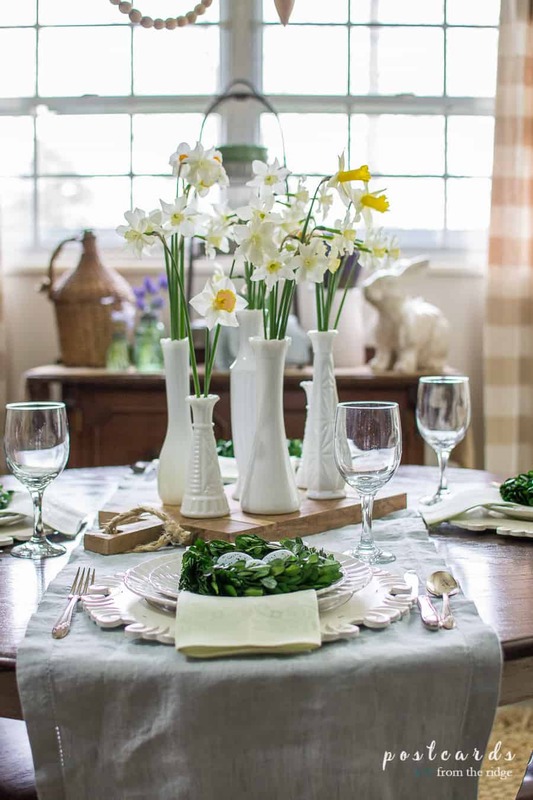 The quiet combination of whites with fresh greens and daffodils had me at hello. Natural wood and milkglass are so classic, and her photography is stunning. Definitely want to recreate this tablescape! 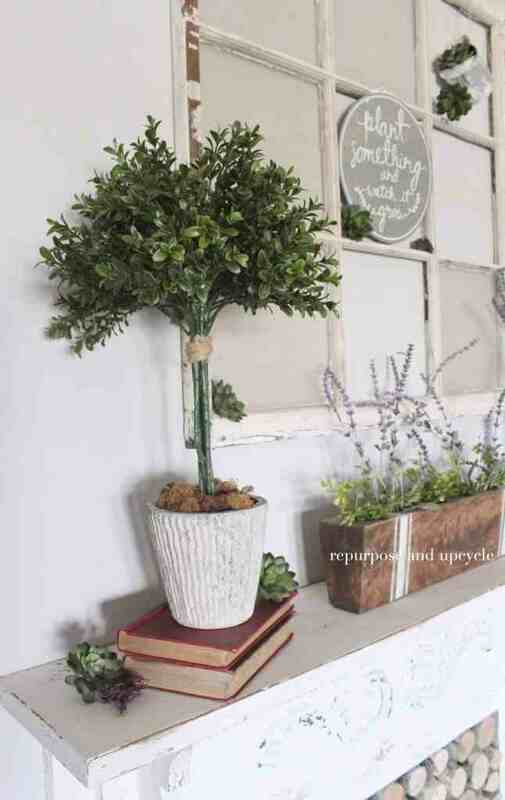 Repurpose and Upcycle’s “DIY Topiary Trees with Boxwood Sprays” are such an easy project and would add such stylish decor anywhere in the house. I love topiaries; the more the merrier in my home! Think I’ll be on the lookout for some boxwood sprays to whip up one of these pretties. She even included a video for us visual learners! Clover House’s “Old Bookpage Easter Egg” caught my attention right away with it’s milkglass backdrop. 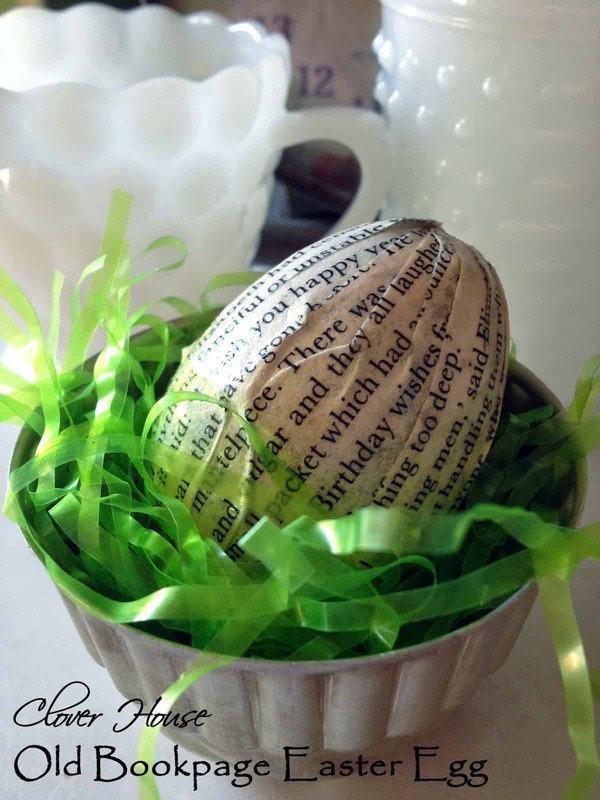 And nestling this easy, decoupaged egg into a vintage tart mold…love it! Think I may need to make some in a vintage music pages version for my “Tart Mold Pedestals“! 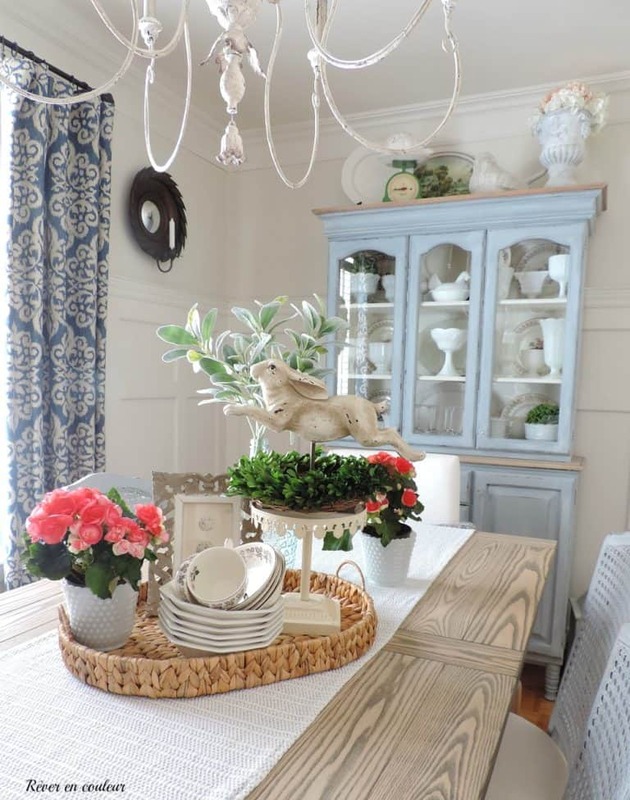 Rever en couleur’s “My Dining Room in Spring Mode” is as fresh as a cool, springtime breeze! I love the milkglass, the textured tray and the lovely fresh florals. This style of decor makes me want to paint every wall in my house white! 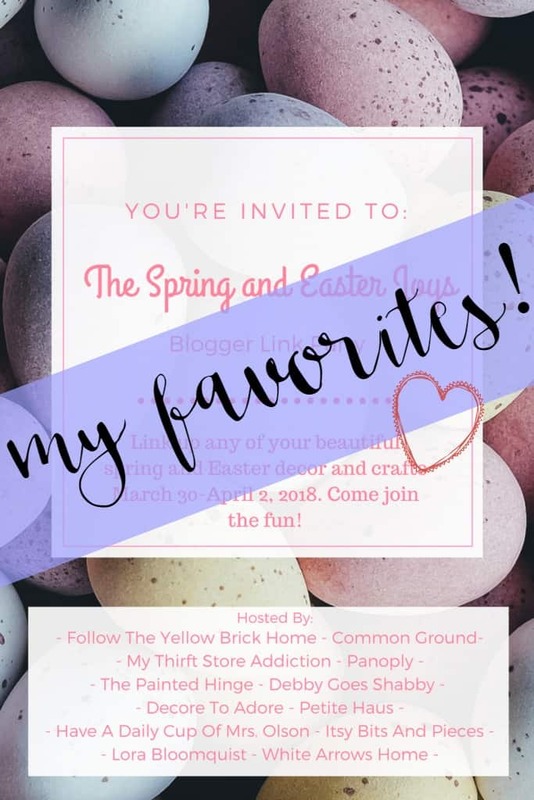 Those were my favorites from the Spring and Easter Joys Link Party! If you missed it, check out all the rest of the beautiful inspiration! Thanks, everyone, for linking up and making the party a success! Make sure you pin, so you’ll have all these great ideas next year!